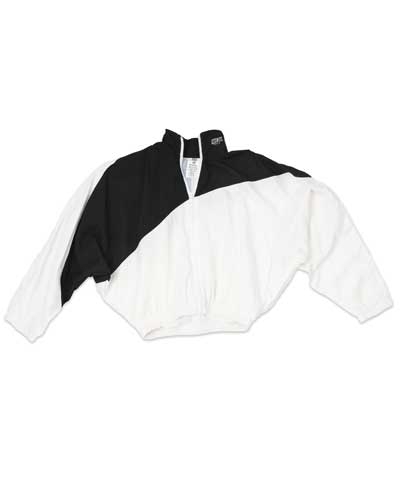 Black/White warmup jacket is in Tenplex fabric and is fully lined. This warm up is just waiting for your embroidery. The simplicity of black & white says, "The Sky's the Limit"